China is one of the key market drivers; it is a known fact that what happens in China affects the whole market, and its impact on global economic trade has skyrocketed over the past decade. 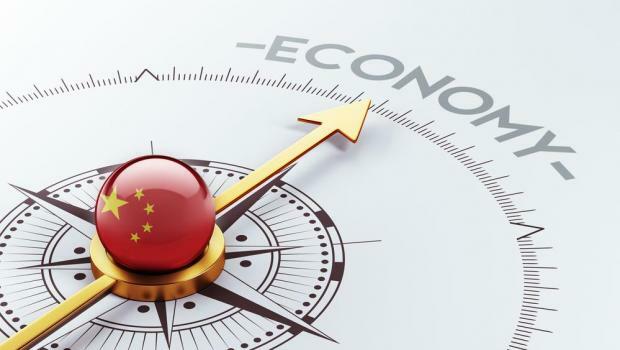 However, China still has a range of economic issues to navigate - especially the country’s growth slowdown - and problems in China influence the rest of the world. Problems include high debt, over-investment in real estate and a transition to a domestic-oriented instead of an export-oriented economy. The Chinese economic outlook depends critically on the development of the trade dispute. If a truce with the US is extended, there will be more upside than downside risks for the Chinese economy and global growth. The trade war impact has fed through the export sector to domestic sectors via the supply chain. Ports, logistics, and packaging all face lower demand. Business surveys show that the Chinese economy is weakening. Headline PMIs have been contracting and manufacturers, in general, have suffered from fewer orders from the domestic market, as well as fewer orders from foreign markets. If there are no pro-growth measures, we will see jobs at risk, which is a key threat that the central government wants to avoid. Within the “six stability” agenda set by the central government, job security is the top priority, which shows how important it is to the government and to society. In terms of growth, job security is also important to avoid the trade war impact spiralling into a downward cycle, which affects spending and therefore corporate earnings. As a result, fiscal stimulus and monetary easing measures will be needed. Most of the funding will come from local government special bond issuance so a big jump isn’t expected in the fiscal deficit to GDP ratio of around 4 per cent. These funds will be used for infrastructure investment. This is a quick solution for local governments to support GDP growth. Some local governments will start to relax housing measures to prop up housing construction activity. China will be getting 5G in 2020 and hence, the central government will develop high-quality manufacturing and 5G applications. As 5G faces hurdles on equipment exports, the government will broaden its 5G coverage and speed up 5G applications domestically. On monetary policy, the central bank has announced a new tool, the Targeted Medium-Term Lending Facility (TMLF), which has an interest rate 0.15 percentage points below the general Medium Term Lending Facility (MLF), with funds channelled to smaller companies and private companies. Implementation of this new innovative tool by the Central Bank is still underway, but it is expected to be used by this month. The TMLF will not fully replace the MLF, but TMLF could be larger than MLF because the government wants to keep private companies alive to avoid job losses. It is expected that the first cut of the required reserve ratio (RRR) will take place this month. Similar to TMLF, this RRR cut will be a targeted cut for smaller companies. Near the end of 2018, in the minutes of its most recent central bank meeting, the People’s Bank of China changed its exchange rate policy stance to “maintain a stable exchange rate at a reasonable level”. It seems that the central bank is aiming to minimise the chances of market chaos and massive capital outflows, even if the probability of such an event is very low.